Every new interview on this series is an invitation into the world of an amazing writer. Today on the #WriterSpotlight series we are seeing the world through the eyes of the award winning writer, Anthea Paelo. We hope you love this interview as much as we do. Hello, I am Anthea Paelo, a writer, an economist, a Mandela Rhodes Scholar and winner of the 2013 Writivism Award. I’m an economist by profession. What that really means is that I do a lot of research wherein I have to read and write. This is great except for the part where the characters in my head have to be silent. I’m not sure that there was ever a “eureka” moment for me. I’ve always loved stories, first listening to them and then creating them myself. In the beginning it was about knowing what happened or what the plot was. Now it’s more about the phrasing and arrangement of words. If written well, they can create a range of emotions. Beautifully written work for me is like eating a particularly well cooked meal. What would you say is the biggest challenge facing the writing industry? I’m not sure I am the right person to answer this question. In many ways I am still a novice and still learning how to write even as I write. I can only speak for myself. My biggest challenge is finding the time to write. If you use Google, you’ll find lots of articles and tips on how to find time. I try to follow the advice but life has a way of derailing even the best laid plans. I try to write as often as possible even if it’s just for me. You are a past winner of the Writivism short story prize can you describe the experience? Writivism was my first real foray into writing. It was wonderful experience to interact with other writers, have my work critiqued and benefit from the feedback of a mentor. It was a great learning experience. Where is the weirdest place you have ever gotten inspiration? Weirdness is subjective. Inspiration comes from different places and thoughts. I’ve got ideas in a classroom in the middle of a test. I’ve got it from staring at a particular ugly shade of green in a dress shop. From memories, dreams, family conversations. Anything really. Were any of them weird? I don’t know. They were sources of ideas. Deeply rewarding. You must have heard this a lot and I agree but a writer needs to write. It is not a choice. However I would be lying if I did not mention it’s down side. Writing well is hard work. It is a discipline. Writing requires several revisions. You’ll have to get rid of some characters you had fallen in love with. You also have to be willing to take some criticism. It is also absolutely terrifying to put your work out there. In many ways, writing is bits of us we choose to lay out on display and that makes us vulnerable. It is immensely difficult at least for me. It is also a source of intense gratification. I’m not sure it was the worst thing but it is the critique that has stayed with me the longest. I was told my poetry was too simplistic. I was not disturbed by it. That was what I meant it to be. Poetry needn’t be difficult to be enjoyed. I did learn that I could be more strategic about work choice and still have my poetry be accessible. Is that even possible for a writer? What are your thoughts about the reading culture in South Africa? Read and read. I do religiously follow some series on TV. On occasion I can be convinced to go outside and see what is happening in the real world. I’d tell her of course she can do it. Both. Because like I mentioned earlier, it is immensely rewarding. Doing it well however requires discipline and hard work. I’m sure I’ve read this somewhere. Write when you feel like it and when you don’t. Write when it reads well and when it doesn’t. And if you’re not writing, read. This is a very important topic – how to make money as a writer. During my sessions with writers on our coaching program, it is one of the most frequently asked questions. They always want me to show them how to make money as a writer. And I know for you reading this post, this is something you must have thought about. So today, I am going to tell you what you need to do to make money as a writer. Before I go on, there is one important thing I need you to do. You need to remove that mindset that writing is just a hobby. It’s more than that. It’s a business that can feed you and your family if you take the right steps. It is something you can do successfully and it can open great doors for you. Now that the above is out of the way, let’s talk about how you can make money from writing! I know by now, you must have heard that you can make money from blogging, from writing articles for various publications, for ghostwriting and so on. I’m not about to list the kind of things you can write to make money. A simple Google search will give you that. I’m going to share what I have learnt in my personal journey. What I have discovered is that to make money as a writer, you need to have a plan. That’s something that people don’t talk about. It’s not enough to say you want to make money as a writer, how do you want to go about it? What skills do you have now? What are you capable of doing? What areas do you need to improve? When I decided to become a freelance writer, what I knew how to do best was to write, edit and create magazines. I could do that from my sleep. So in the first few months of making that move, as I shared in a previous post, I made some thousands of Naira from being commissioned to write several articles for different magazines, and then the money stopped coming. No one commissioned me to write any article or edit any magazine. The magazines I worked on at the time were free jobs. So I got stuck. One day, the head of the Publications Team in my church asked me if I could work on a book for the team. She had been thinking of publishing a book but she did not know who could work on it. I had never worked on a book before then. The closest thing which I had done in the past was to collate articles in a series to form an eBook. Even though I wasn’t 100% confident in my ability to bring this book to life, I took the opportunity. Well, it wasn’t difficult to create the book. I learnt a lot from that process and even though the book could not be published eventually for reasons beyond the Publications Team’s control, I had gained a new skill. 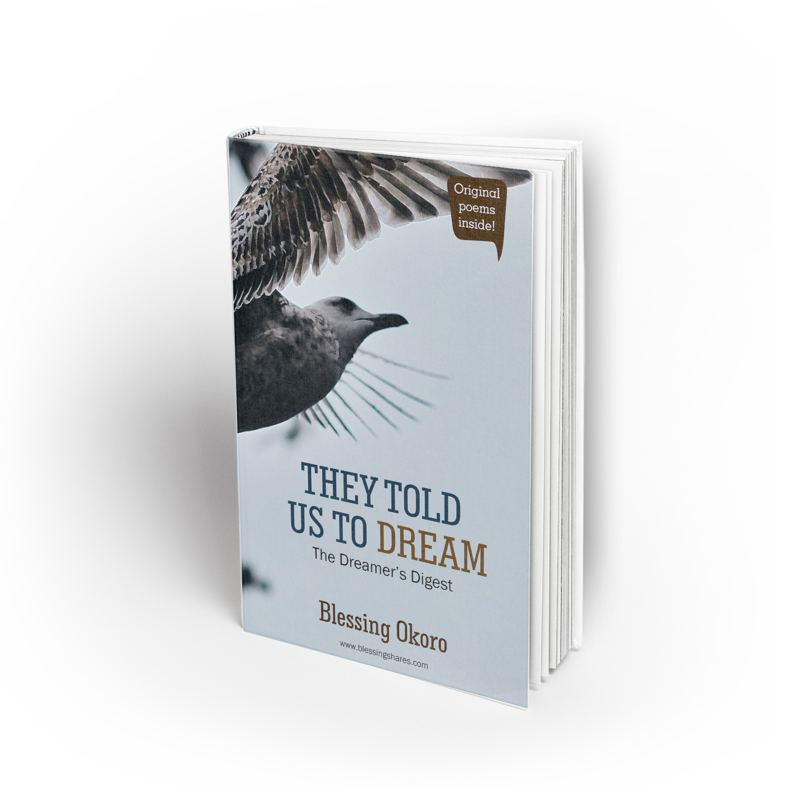 A few months later, I was paid N5,000 to edit a book. Peanuts I know but I needed to build my portfolio. I have worked on several books since then and not only do I edit books, I can also create a book from scratch. Of course, my fee for this service has increased significantly. From creating books, I also discovered that I could make money from writing social media copy which was something I had never done before. I also discovered making money opportunities that could become open to me once I increased my capacity and I began to develop myself. Today, I write and edit books, write social media copy, manage social media accounts, create content strategy and I also train people to do all of this. Another thing that isn’t emphasized when the topic of making money as a writer comes up is research. You need to have great research skills. 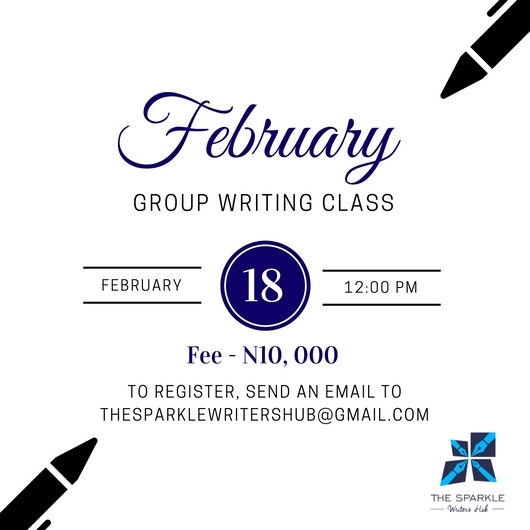 It will drastically increase your capacity to earn as a writer. I may have to do a separate post on how research skills are very important for any writer who wants to be successful but know that it is something you should take seriously. Not only does research expand your mind and gets your creative juices flowing, you can get hired by companies to carry out research. I never thought much of my research skills until I was commissioned last year to conduct a research and write reports for a project that an international organization was about to launch in Nigeria. When I heard the amount that was to be paid, I was shocked. Today, the organization still calls me to work on their other projects. Develop your research skills. It’s very important. Next week, I will share some more tips with you and show you other ways I have been able to make money as a writer. 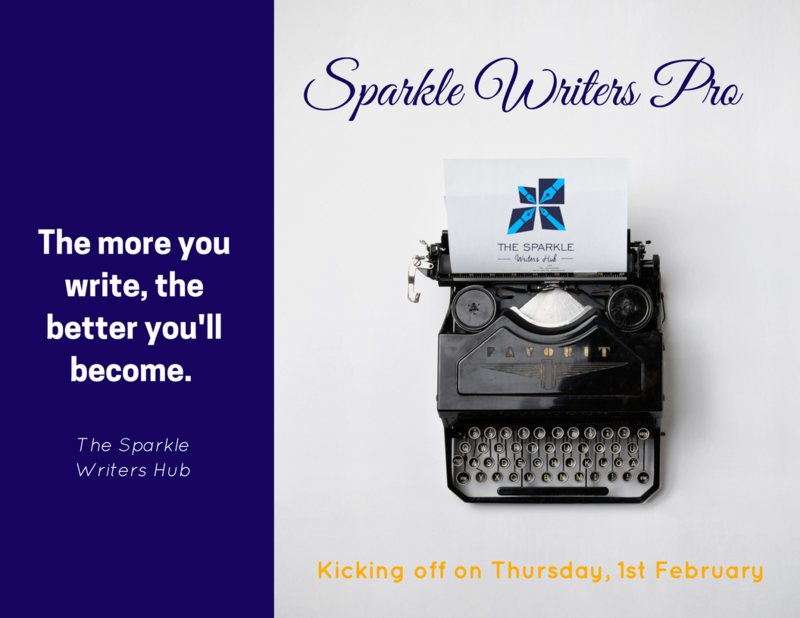 If you would like to book a coaching session with me for more in-depth information or get yourself positioned to earn a lot of money from writing, please send an email to thesparklewritershub@gmail.com. We have a package for every budget. See you next week! #WordOfTheDay – Are you officious? Hey Sparkle Writer! Thank you for reading today’s #WordOfTheDay post. Overtime we’ve added new words to our vocabulary through this series and we’ve had so much fun doing that. So let’s get back to the question of the day; are you officious? Officious /əˈfɪʃəs/ means meddlesome and interfering, characteristic of somebody who is eager to give unwanted help or advice. This word can also mean assertive of authority in a domineering way, especially with regard to trivial matters. The bosses’ son sticks his officious nose into everyone’s business. Try using this word in a sentence and let us know how it goes. Do you know that there is something called the ‘Oxford Comma’? The Oxford Comma or serial comma is placed immediately before the coordinating conjunction (usually and or or) in a series of three or more terms. I ate rice, beans, and pizza at yesterday’s party. Using the Oxford comma is majorly up to you except you are writing for a publication that requires its usage. Most people use it without knowing that they are doing so. However, omission of the Oxford comma can sometimes make your sentence ambiguous. I love my sisters, Spongebob and Barney. Without the oxford comma the sentence above could be interpreted to mean that you love your sisters, whose names are Spongebob and Barney. I love Barnyey, Spongebob and my sisters. So what do you think of the oxford comma? Let us know in the comment box. You can’t put a price on the joy a writer feels when he is able to engage with his readers through his work. It’s always exciting. Sadly not so many writers get to experience this joy. Others do just a few times. Whatever category you belong to, we’ll help you enjoy this feeling more often. Don’t waste your first few sentences. You do not have all day to get your reader interested in your work. Your first sentences should lure your reader and get him interested. Don’t wait till you are in the 5th paragraph before you reveal what your story is about. You can use an anecdote, or reveal alarming statistics on the subject matter. If you are writing for young people, your language must be fun and engaging. If you are writing for business owners you must use their vocabulary. Let your work be relatable. 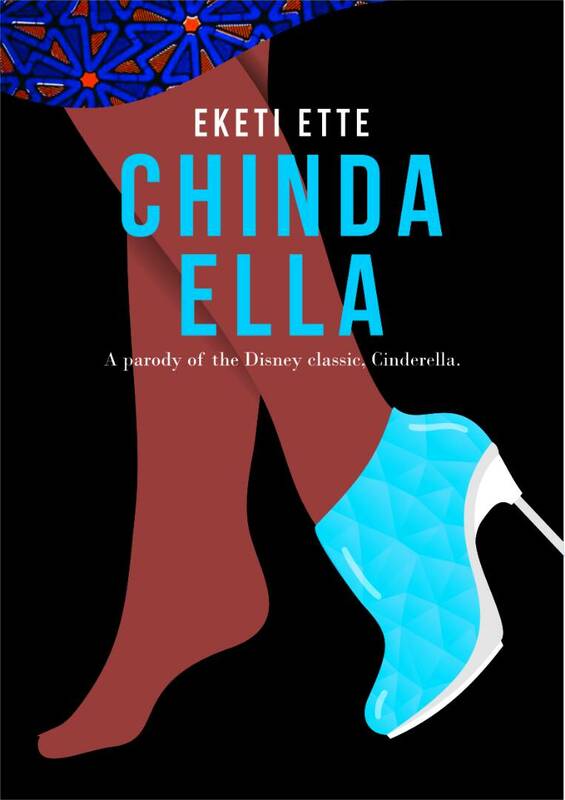 This would give your readers the A-ha moments over and over again. The attention span of the average reader is not so encouraging. It’s even worse with the ‘internet readers.’ They want to quickly scan through the article and move on to the next thing. Ensure that your words are as concise as possible. Use strategic words that relate your message clearly. Don’t write a sentence that is two kilometers long. A picture can pass across a message in the simplest ways. Don’t use ugly, or low quality images. Use pictures that relate to your story. There’s no point using the picture of a man in the office when you are writing on the importance of breast milk. It’s just wrong. There’s nothing worse than ruining the great moments you’ve given your reader with a terrible conclusion. It’s unforgivable. Let your conclusion end with a thought provoking question, call to action or whatever you think will work with your readers. Did you find this post useful? Let us know in the comment section. The rest is history. Can this phrase become history too? It is used to wrap up a story or state that you have no further insight into a discussion. We’d appreciate it if you can find an alternative. Don’t cry over spilt milk. Nobody actually cries over spilt milk. So technically this phrase is irrelevant. It’s not nice to undermine someone’s pain by asking him not to cry over spilt milk. Find another way to console somebody when they are confronting an issue. Who came up with this phrase? Why is it used so frequently to ‘remind you that everything will be fine in the end?’ Isn’t there another way to say this? We bet there is. Hey Sparkle Writers! We hope by now you have started your blog and you have been learning new things from our blogging series. If you haven’t been following the series, you absolutely need to read our previous posts! Today we want to show you how to increase traffic to your blog. Once you’ve chosen the topic you want to blog about and you blog consistently, the next thing to think about is how to increase traffic to your blog. Traffic is essential if you want to monetize your blog. The numbers matter. Use a variety of content. The visuals matter if you want to grow your blog traffic. Don’t just write text alone. Add pictures (beautiful, high quality pictures), videos, infographics and interesting links. Play around with different types of content. You want your readers to be excited to visit your blog. Don’t write an essay on your blog. Let your posts be easy to read and digest. Break things down. Preferably, break your points down into steps and use lists. People hardly have time to read lengthy blog posts. The more you can break your post down, the more likely it is that people will visit your blog again. There is no point putting up a blog post that will be of no use to your readers. They will never visit your blog again. Your blog posts must add value. Let there be at least one thing your readers can take away after reading a post on your blog. This means that you need to have your reader in mind when you write. People always want to learn how to do things. Find out what your target readers want to learn and create how to posts that will teach them what they want to learn. This is a great marketing tool for you. The trick is not to give too much away in your how-to posts. Give them enough to whet their appetite and increase their desire for more. When they ask for more, add a price to it. Whatever you do, stay true to the essence of your blog. Don’t go off topic for the sake of making your post go viral. It will have dire consequences later. Determine what your blog is about and stick to it. Find interesting things you can infuse into your blog posts to make it more attractive. We do hope you will implement some of these tips. Next week, we are going to show you how to write great headlines using an awesome free tool we just discovered. If you would like to know more about blogging as a writer or you’ve been having issues with blogging, fill the form below and we will get in touch with you. We’re always happy to help! One thing every writer needs to learn is the art of persistence in the face of criticism. Our guest on today’s #WriterSpotlight feature forged ahead despite the criticism she received and has become a better writer. If you would like to be on our #WriterSpotlight series please send a mail to thesparklewritershub@gmail.com. Enjoy! My name is Jesuseun Adebo. I was born June 5th, the first of 6 children and married. I am a Creative Content Writer. Presently I work with Praiseworld Radio and freelance with some other people and organizations. Writing is not seen as a profession but a hobby thus it is grossly neglected by the government and people. Okay, this is really weird – The Bathroom. Has your work ever been published on any platform or magazine? If yes how did you feel? Yes it has. At first I was discouraged because of the negative feedback and criticism I got, but later I forged on and I am glad I did because I got and I’m still getting some positive feedback from my works. It has been rewarding in a lot of ways but financially not so much (lol). Writing has to be a passion for you to keep going when you get little or nothing for it. Someone once told me I was a terrible writer because to him I wasn’t original and my use of tenses and personal expressions were childish. Never, it’s the best form of expression for me. What are your thoughts about the reading culture in Nigeria? It needs to be resuscitated; it’s dying daily. To see my works published and read far and wide and to ultimately impact my readers. Read a very good book, watch a criminal detective movie like “The Mentalist”, listen to music or disturb my husband. You are unique, enjoy being you, forget about the talks and opinions of others, write as much as possible and trust God wholeheartedly. I consider it work because like the saying goes; “The pen is mightier than the sword.” I do believe that written content goes a long way to impact lives and generations even after you are gone. I consider it work also because writing takes a lot of intellectual energy and imagination. Enjoy what you do, continue writing no matter what, remember practice makes perfect. Always go over your work several times before publishing and finally welcome constructive criticism and leave the destructive ones. We are starting to believe there’s a word for everything. You would not believe what words we found today. This adjective is used to refer to animals or human beings who have a poor sense of smell. So if you know anyone who finds it hard to pick up smell/ odour the person is microsmatic! On the other hand, a macrosmatic has a high sense of smell. Can you make sentences with these words? Raise your hands if you have ever been confused about when to use the pronoun ‘I’ or ‘me.’ You are not alone. After reading this post you’ll no longer have difficulties making the right choice. I, he, she, we, and they are known as subjective personal pronouns because they are used as the subject of a sentence, often coming in front of the verb. She went to work early. Me, him, her, us, and them are known as objective pronouns because they are used as the object of a verb or after a preposition.